Liverpool right-back Trent Alexander-Arnold is making progress in his recovery from a knee injury but is unlikely to be ready to face West Ham on Monday, according to the Liverpool Echo. The regional newspaper report that the young flyer is nearing a return from the injury which has seen him miss two games so far this month. The Echo claim that James Milner is likely to deputise at right-back for the Reds against West Ham when he returns from a one-match suspension, with Jordan Henderson playing there in a 1-1 draw with Leicester on Wednesday. 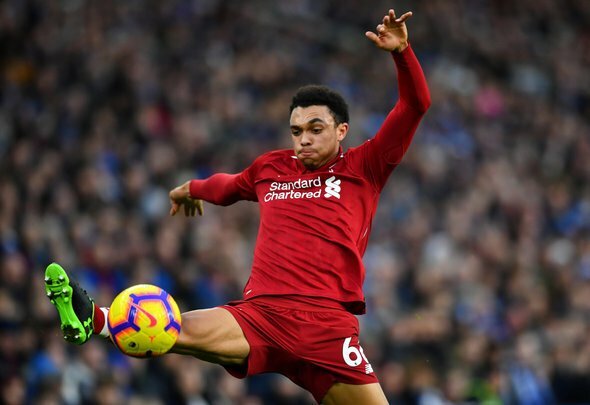 Alexander-Arnold’s impending return is brilliant news for Liverpool, with the young right-back having become such a key player for the club over the past year or so. The 20-year-old flyer is now the clear first-choice in his position for Jurgen Klopp, and it is just unfortunate that his recent knee injury coincided with an injury to Joe Gomez and Milner’s suspension. That saw Henderson deputise in an unfamiliar position, and the Reds skipper will be glad that Milner is ready to relieve him of those duties on Monday. Despite the fact he is a natural midfielder, Milner actually has vast experience at full-back having played there a lot during the early days of Klopp’s tenure. He regularly fills in there for the Reds, and will have no trouble doing so again when they travel to the London Stadium. That match is now a must-win for Liverpool after their draw against Leicester, although they do still hold a five-point lead at the top of the table.